Windows 10 PC build 15063 and Mobile build 10.0.15063.0 is now available for Fast Ring Insiders. The latest insider build includes bug fixes and improvements. The new build also fixed Microsoft Edge hanging and becoming completely unresponsive. However, there are some known issues with this build like users may face error 8024a112 while installing the build. Check out the full official changelog below. Fixed a reliability issue from Build 15061 resulting in Microsoft Edge hanging and becoming completely unresponsive. Fixed an issue for Insiders where the localized files and registry keys associated with any additional language packs on the system would not be installed after enabling .NET Framework 3.5. Fixed the bug causing a number of inbox apps to fail to launch (such as Store) and also preventing any app updates from the Store from working. Thank you all for sending us feedback around this. Fixed the bug causing background tasks to not run in the background like they should such as OneDrive’s camera roll sync feature. Background tasks should be working again as expected and your camera roll will sync to OneDrive again. Fixed the issue where in some cases you may lose your call, text, and email history may be lost if your device experiences an unexpected reboot. Fixed an issue for Insiders with certain cars resulting in connection failures after pairing Bluetooth. Fixed an issue where replacing the default APN for LTE on the phone wouldn’t work. Official Windows 10 build 15063 ISO files are not available right now. 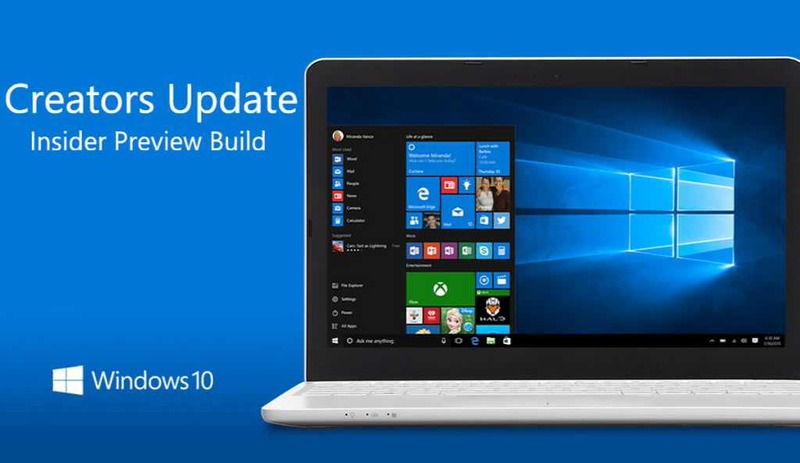 The company is expected to release the Windows 10 build 15063 ISO files later. However, official ISO images of build 15058 are now available. Windows Creators Update is now getting closer to RTM build. The company may release RTM build this week and final rollout will happen in the first week of April 2017.